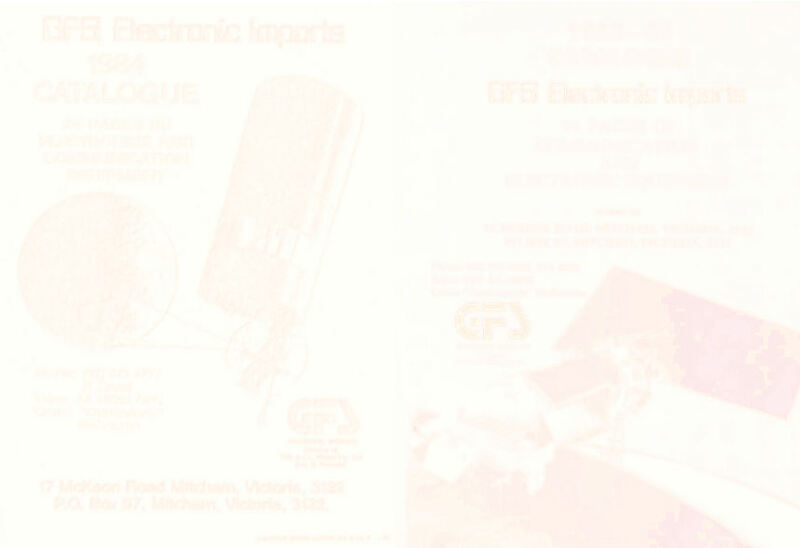 Shown above are the first two pages from GFS Electronic Imports first catalogue. 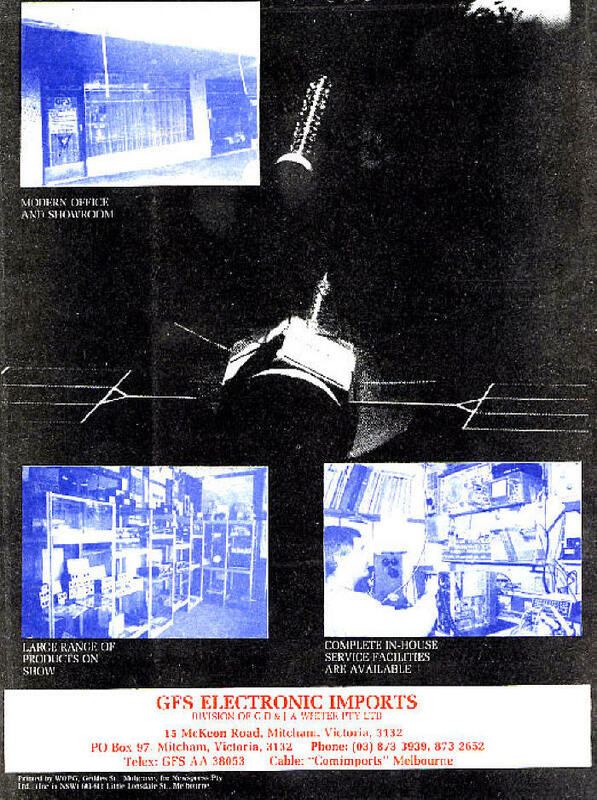 The 16 page catalogue was produced in 1982 to cover the 1982 - 1983 years and was incorporated as a lift out in both CB Action and Amateur Radio Action magazines. 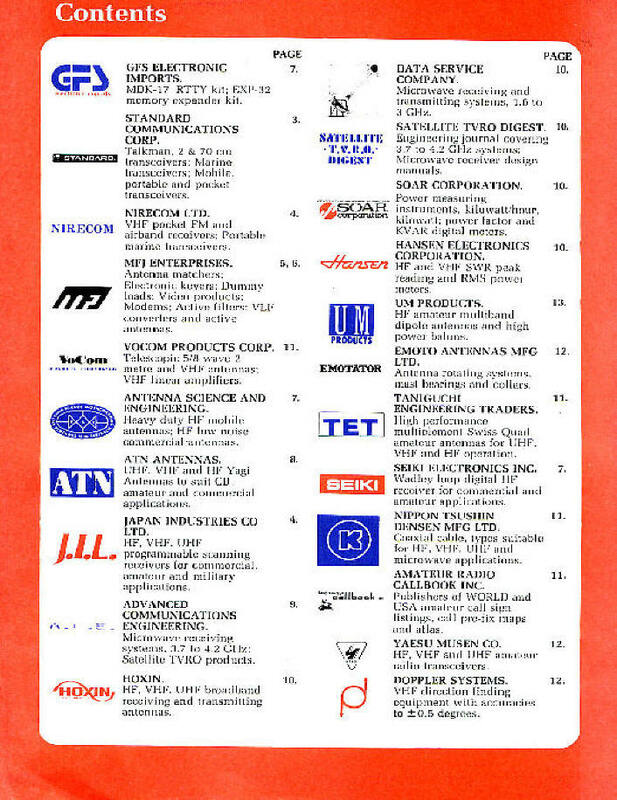 The contents page above gives an idea of number of companies that GFS Electronic Imports was representing at that time. 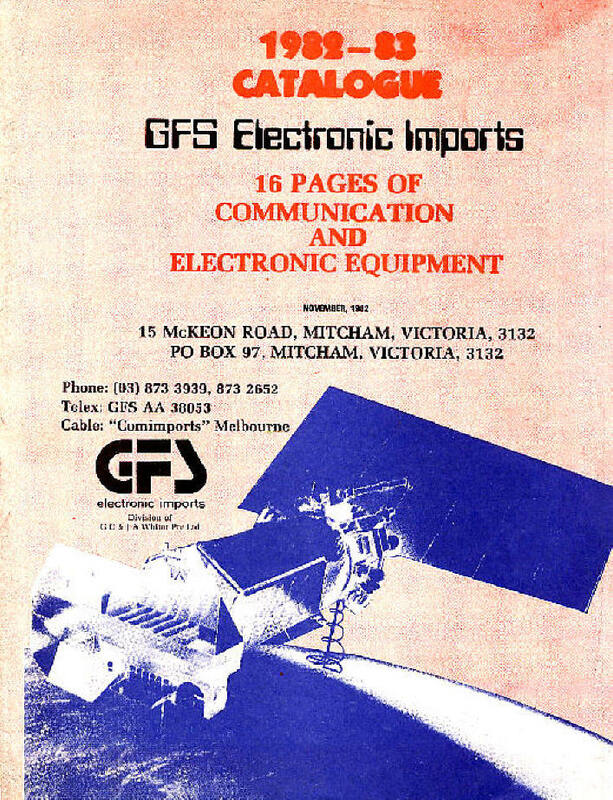 GFS were also manufacturing a small number of electronic kits, including the model MDK-17 RTTY modulator-demodulator and EXP-32 Memory Expander kit for the JIL SX-200 scanning receiver. Above is the outside back cover of the 1982 - 1983 catalogue. It includes pictures of the front of their 15 McKeon Road, Mitcham, Victoria, Australia store along with a view of the product display area and their equipment service area, with Jak Melia servicing a transceiver.